Use of our Site (Take Your Marks website) is subject to the following terms and conditions of access to the Site ("Terms of Access") and all applicable laws. By accessing and browsing the Site you represent that you have read, understood and accepted these Terms of Access and agree to be bound by them. We may modify, add, or remove portions of this Terms of Access at any time and without notice. We take your privacy seriously. We will ensure that your personal information including swimming performance data, remains with us and is not sold, traded or shared with any other party. Reasonable precautions have been taken by us to prevent the tampering of our TYM account holder's data. Account holder passwords are encrypted when stored on our Site servers. Backups of account holder's data are performed daily to reduce any potential losses in the case of catastrophic hardware failures. We offer a 30 day "no questions asked" refunds policy for any payment you make for our account subscription. We may at any time, change the fee structure or fee amount for the facilities provided by the Site. Should you choose to create a Take Your Marks account, you must complete the registration process by providing us with current, complete and accurate information as prompted by the applicable registration form. You also will choose a password and a user name. You are entirely responsible for maintaining the confidentiality of your password and account. Furthermore, you are entirely responsible for any and all activities that occur under your account. You agree to notify us immediately of any suspicious use of your account or any other breach of security. We will not be liable for any loss that you may incur as a result of someone else using your password or account, either with or without your knowledge. However, you could be held liable for losses incurred by us or another party due to someone else using your account or password. You may not use any other account holder's account at any time, without their permission. We reserve the right to remove TYM accounts that have not been logged into for a period of one year. This will not apply to TYM account holders that have paid a subscription fee at any time. Any fraudulent, abusive, or otherwise illegal activity may be grounds for termination of your account, at our sole discretion. 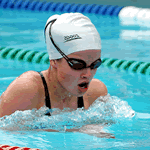 You are able to submit swim meet results to our database. You will only submit meet files that conform to the requirements as detailed in the meet submission section of the Site. You will provide complete and accurate meet information when submitting a meet file. We are under no obligation to accept meets submitted for inclusion into our database. We do not claim ownership of any meet file submitted, the data contained within it, or any data contained within our meet results database. Links to any other sites are provided for convenience only and do not represent any endorsement by us of the products or services offered by the site owner. We are not responsible for the content of those sites. We disclaim any liability for links: (i) from another site to us; and (ii) to another site from us. While we have endeavoured to ensure that the content and material on the Site (including the data in our swim meet results database) is free from error, we do not warrant its accuracy, adequacy or completeness or that it is suitable for your intended use. The Site, and the content and material on it, are provided on an "as is", "as available" basis. As a condition of your use of the Site, you will not use the facilities provided by the Site for any purpose that is unlawful or prohibited by these Terms of Access. You may not use the Site in any manner that could damage, disable, overburden, or impair any Site server, or the network(s) connected to any Site server, or interfere with any other parties use and enjoyment of the Site. You may not attempt to gain access to any restricted part of the Site, other accounts, computer systems or networks connected to any Site server, through hacking, password mining or any other means. You may not obtain or attempt to obtain any materials or information through any means not intentionally made available through the facilities provided by the Site. If for any reason we are responsible for any damage or harm arising out of your use of the Site, in no event shall our total liability to you for all damages, losses, and causes of action, exceed the amount paid by you in the previous 12 month period, if any, for accessing this Site. You acknowledge and agree that all content and materials available on the Site are protected by copyrights, trade marks or other intellectual property rights and laws.